Americans abroad. Roy and Jessie finished a volunteer stint in China. He loves trains, so they go home via the Trans-Siberia Express. There are strains in the relationship, including her past. They meet Carlos, a Spaniard, traveling with Abby, a young American. Carlos keeps close to Jessie, and when Roy is left behind and waits a day for the next train so he can catch up, Jessie and Carlos take a trip into the dead of winter to photograph a ruined church. Carlos may be running drugs, so, later, when Roy catches up and introduces Jessie to his new pal, an English speaking Russian narcotics detective, he's the last person Jessie wants to see. Will the Siberian desolation be their undoing? Taglines: You can't escape your lies. 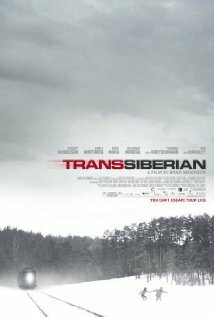 Transsiberian had the misfortune of opening on the same weekend as The Dark Knight, the second biggest film in history. Revealing mistakes: In one of the first scenes you see the inspector with everything frozen in the building. He finds a dead body with a knife in its head. Everything is frozen - except for the blood on the knife. Roy: Hold on there Ilya, don't tell me that you miss the USSR? I mean the USSR was a dark evil empire. Grinko: Maybe so. But then we were people living in the darkness, now we are people dying in the light. Which is better? When it was USSR a man lived until 65 years, now it is 58 years. I know this fact very well, I am 58. In Russia now we say there are only 2 kinds people, those who leave in private jet, and those who leave in coffin. Grinko: I'm too old to leave. Just do my job. Wow! Like a Hitchcock Classic! 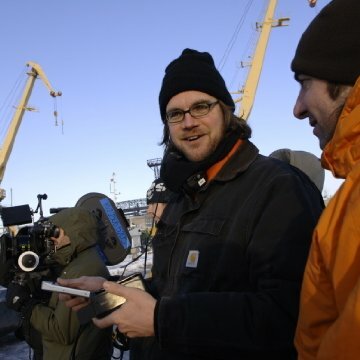 My favorite movie from the first day of Sundance 2008. Roy (a very young-looking Woody Harrelson) and Jessie (Emily Mortimer) are a young Iowa couple, returning from a church humanitarian mission in China via the Transsiberian Express, where they encounter the much more adventurous Carlos (Eduardo Noriega) and Abby (Kate Mara). 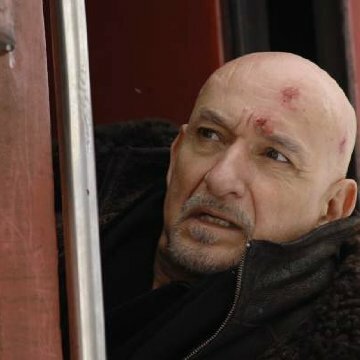 Boarding mid-way is Ben Kingsley, who we have learned from the opening scene is a Moscow police detective. As Anderson said in the Q&A, the confined spaces of trains make for heightened drama. Shot in Lithuania, the cinematography is haunting, capturing the mysterious, bleak and unsettled state of post-Soviet Russia, which makes for a marvelous backdrop to the action. This movie should do well in national release. Maybe very well. Sundance Moments: Brad Anderson and all the principals of the cast were at the Sundance premiere. More so than usual, they all praised Anderson as an extraordinary and meticulous director, one of the greats. Ben Kingsley noted that what attracted him to the movie, besides the Russian sub-story, was that the characters were archetypes and not caricatures, which is quite true. 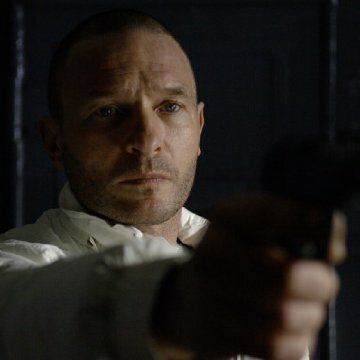 Anderson talked about how bitterly cold it was shooting in Lithuania.